Toyin Abraham is grateful to her fans, her movie has been selling round theater across Nigeria. With an everyday sold out movie, no one was expecting anything less. 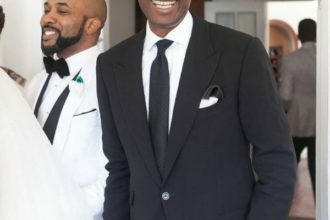 Alakada has made over 50 million in just a week of its release. Congrats Toyin. #Repost @bbbmedia (@get_repost) ??? 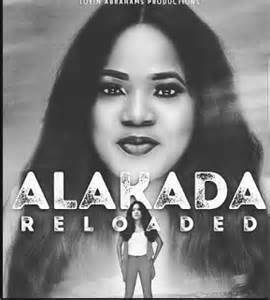 Alakada Reloaded Makes 50 million in One week, I am Super Grateful’- Toyin Abraham After her movie Alakada Reloaded, grossed 50 million in a week, popular actress and producer, @toyin_abraham said she is super grateful for the box office success of the comedy movie. Alakada Reloaded became one of the top grossing movies in 2017 after grossing 25 million naira in its first 3 days. Alakada is still showing in cinemas nationwide. #alakadareloaded #bbbmedia #pr #publicity #Media THANKS TO GOD,TOYINTITANS AND TO EVERYONE..YES 50MILLION IN A WEEK AND STILL COUNTING.. TOYINTITANS YAFUNYAFUN IS COMING SOON..I WILL BE WAITING FOR YOU ALL AT SILVERBIRD CINEMA IKEJA CITY MALL TOMORROW 6TH OF JUNE BY 12NOON AND I AM GIVING OUT 200 FREE TICKETS,courtesy @karowenu. .BUY 3TICKETS AND GET ONE FREE I SAID I AM NOT JOKING..LOUD IT?????? NB:I AM LAUNCHING SOMETHING MASSIVE THIS MONTH..YES VERY MASSIVE..YES FIRST IN NIGERIA..I WILL INVITE 10 TO 20 TOYINTITANS TO COME AND REJOICE WITH ME…TOYINTITANS WE MADE IT?? ?